Hi there Bill, I was wondering about the possibility of there being a more road course/autocross subsection in track talk. Not sure how to go about requesting that in another forum section, as I don't believe that would count as a Challengertalk website problem. But I'm pretty sure steve white parts and several other forum members would be on board with this as well. Drag racing is cool but definitely 2 different kinds of enthusiasts. Thanks and have a great weekend! Thanks man - I appreciate it (sorry - didn't see this and didn't get notified about it). Same here Bill, thanks again for trying to help. Do you know of any others i need to watch for? 12:54 AM - A Guy mentioned stevewhiteparts in post What is it? 08:01 PM - Nuke mentioned A Guy in post Pedal Commander AND Tazer. Thoughts? 06:12 PM - A Guy mentioned Rambit in post Challengers FTW!!! 05:03 PM - A Guy mentioned Administrator in post cannot seem up post anything? 02:08 PM - A Guy mentioned Rambit in post New members introduce yourself. 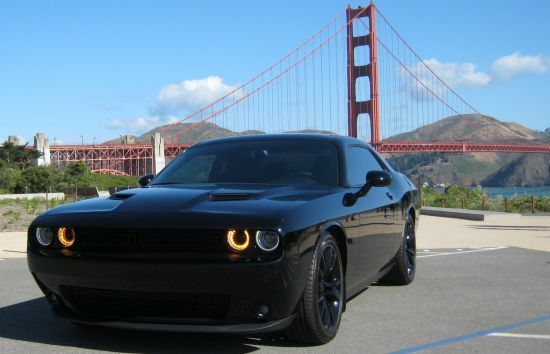 06:44 AM - pjs1inc quoted A Guy in post Why so many Challenger Hellcats for sale? 07:01 PM - A Guy quoted Frank Julian in post Solo Performance X Pipe Review!! 10:55 PM - forcedfedbug quoted A Guy in post Pedal Commander AND Tazer. Thoughts?